Is this not the cutest hipster utility jacket for toddlers ever? It is a rhetorical question and the answer is “yes!”. 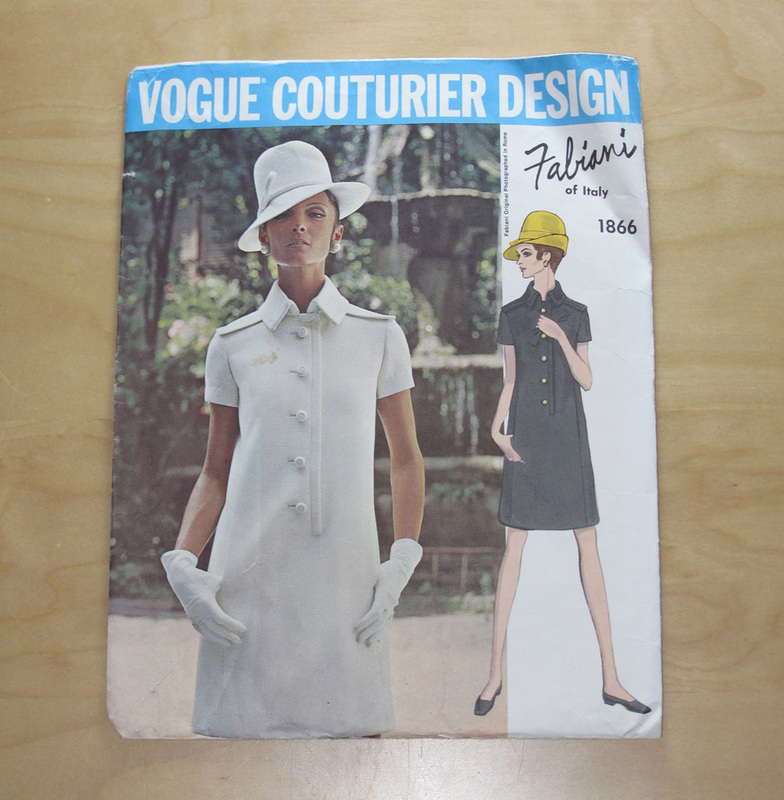 Butterick 6176: The envelope is a little worn, but the pattern itself is in good condition. 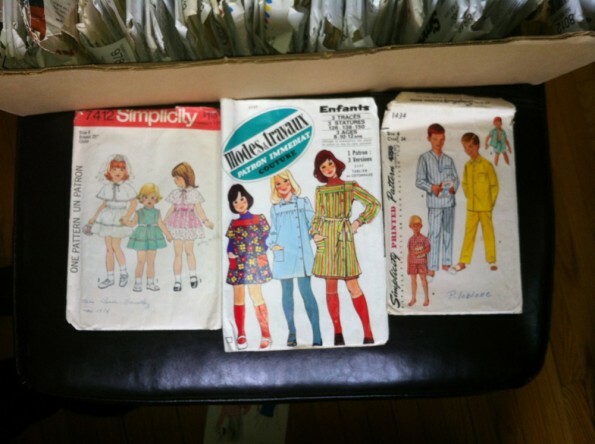 It’s part of the stash of vintage patterns that my mother gave me when she cleaned up her sewing things. 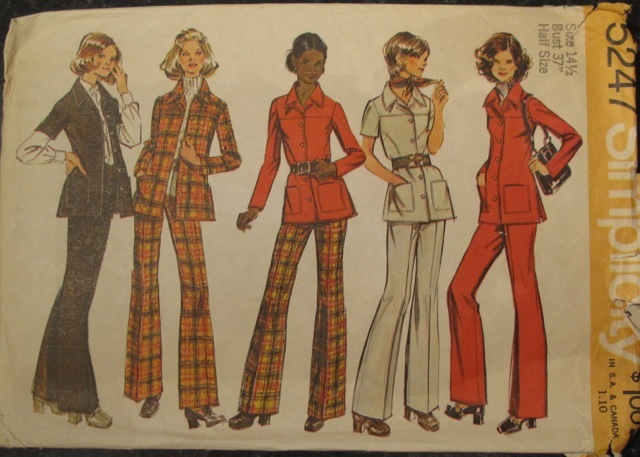 But this was not one of her patterns. There’s a bit of writing on the envelope. 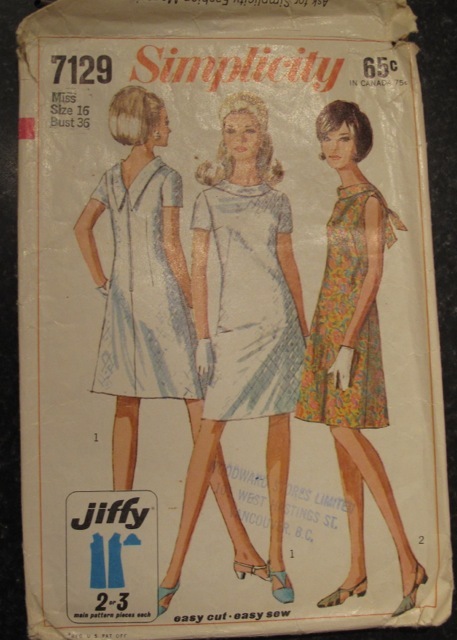 It says “Effie’s pattern – 1958”. I would recognize my grandmother’s handwriting anywhere. And of course it isn’t her pattern either. Effie is my great-grandmother and this is her pattern. 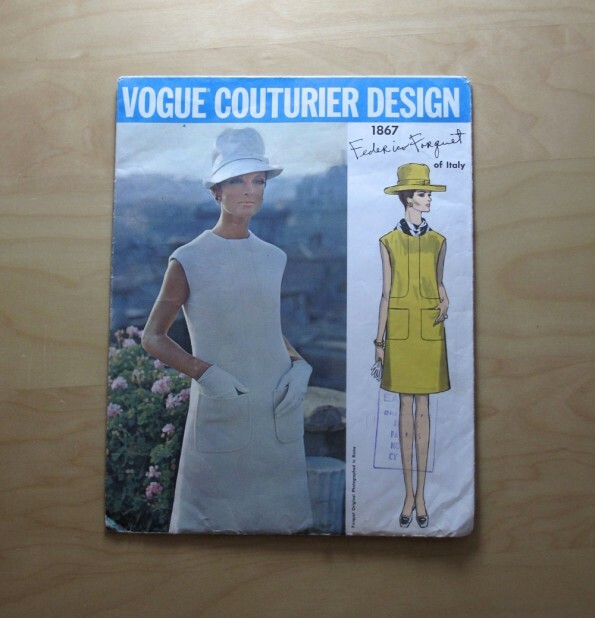 Butterick 6176: The back of the envelope is a bit torn. 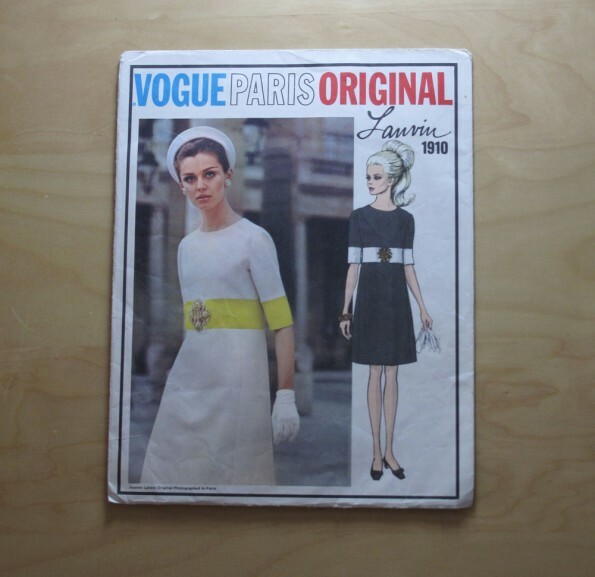 The pattern is Butterick 6176 in size 2. From the envelope back: “Toddler’s Sunsuit or Overalls and Jacket. (A) This short button-front jacket has long, cuffed sleeves set in raglan style. Makes a suit with these side-buttoned overalls (B). (View C) Make this simple sunsuit: bib-top with button-on straps and briefest bottoms.” Indeed! How old is this pattern? 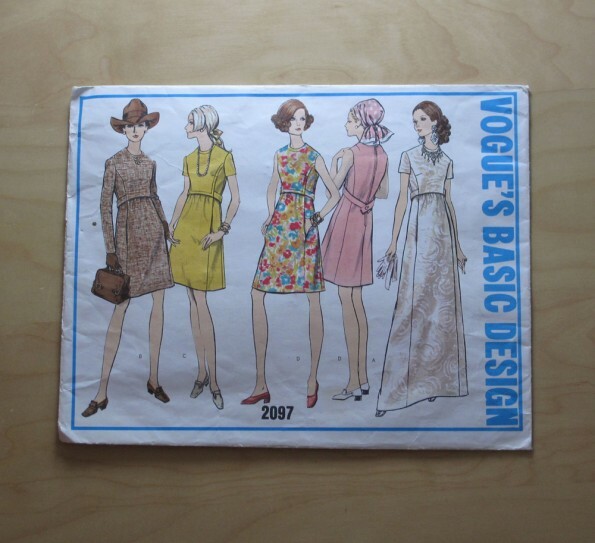 If you look for this pattern on the Vintage Patterns Wiki, you’ll see it says it was a pattern from the 1950s. 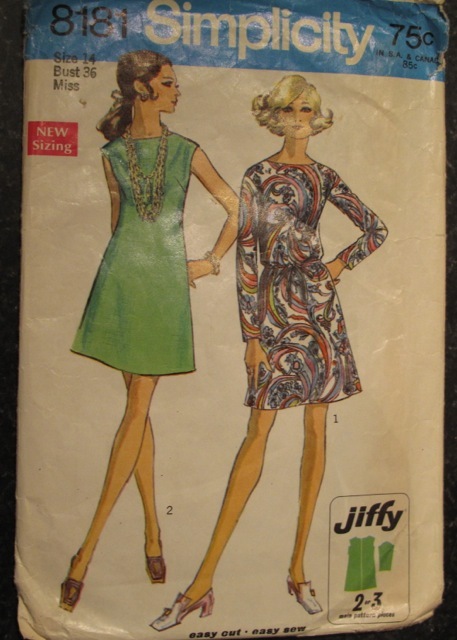 However, I think this pattern was probably released through the 1950s and 1960s. 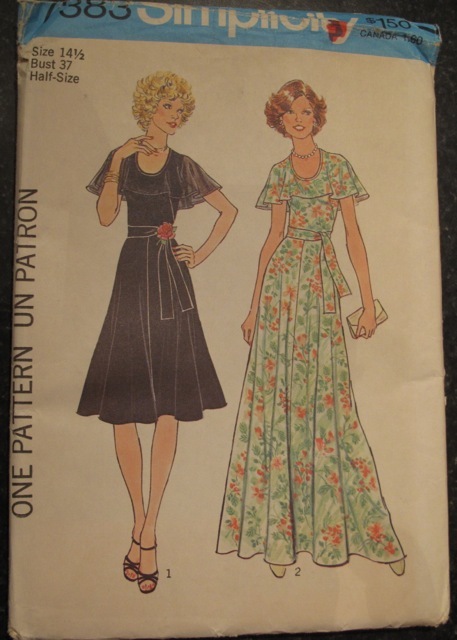 It’s difficult to date vintage patterns, and I am certainly no expert. 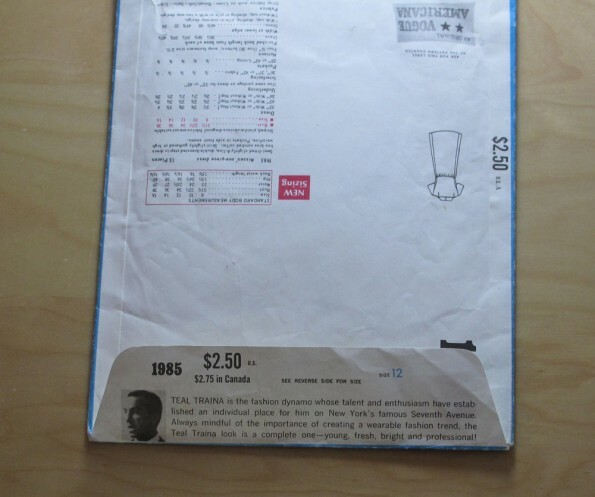 Butterick patterns, like this one, don’t always have a date printed on them. You have to make an educated guess. 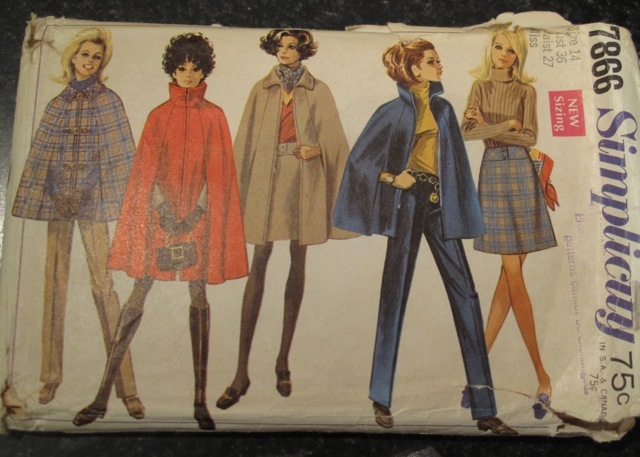 Sometimes you can use the pattern illustration, or certain design elements to date the pattern, but children’s patterns tend to be less fashion-forward than patterns for women’s clothing. 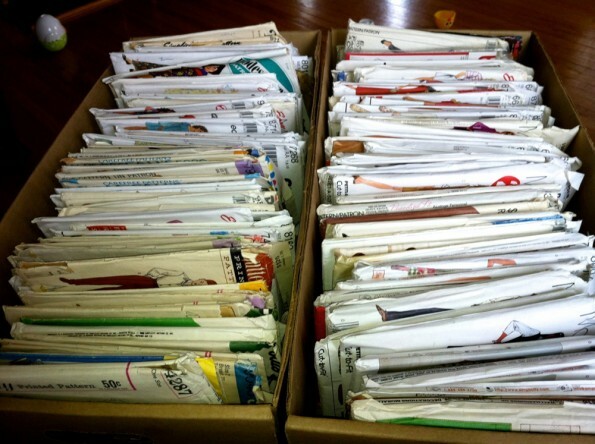 Another way to date a pattern is by the pattern envelope style. 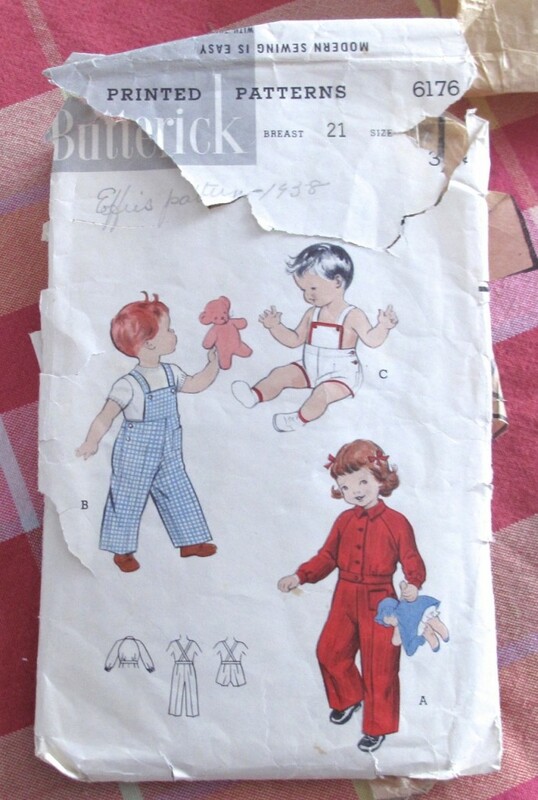 Butterick 6176: Toddler’s Sunsuit or Overalls and Jacket. (A) This short button-front jacket has long, cuffed sleeves set in raglan style. Makes a suit with these side-buttoned overalls (B). (View C) Make this simple sunsuit: bib-top with button-on straps and briefest bottoms. 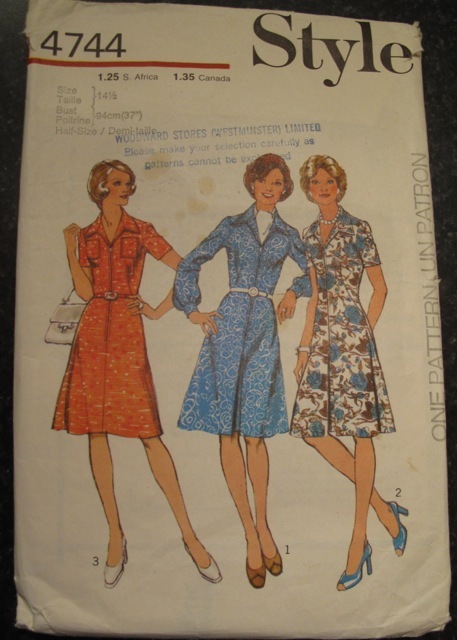 This pattern has the classic upper-left square around the Butterick logo that is typical of patterns from the 1950s. You can see the same style logo in this pattern dated 1956. Her copy was probably published in the 1950s. 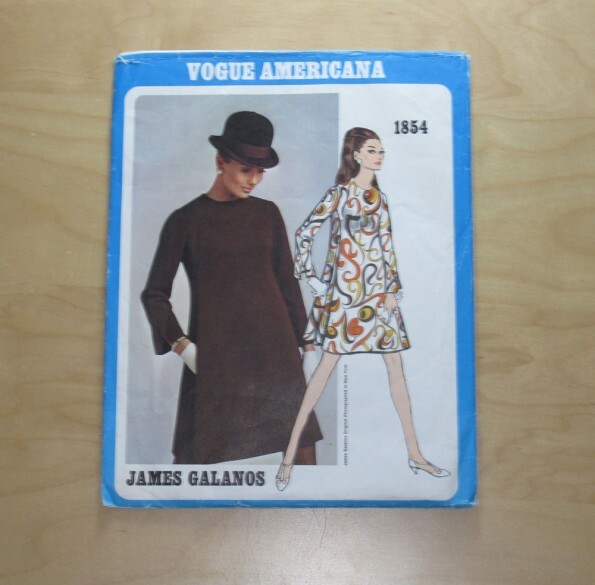 There were a few other patterns with this one, with dates printed on them, that were from the 1930s and 1940s. 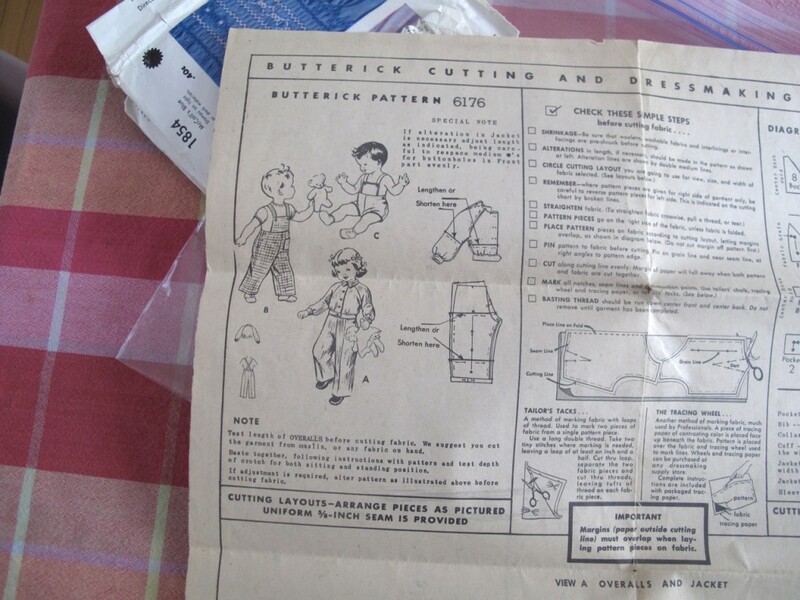 Butterick 6176: The instructions are in great condition. 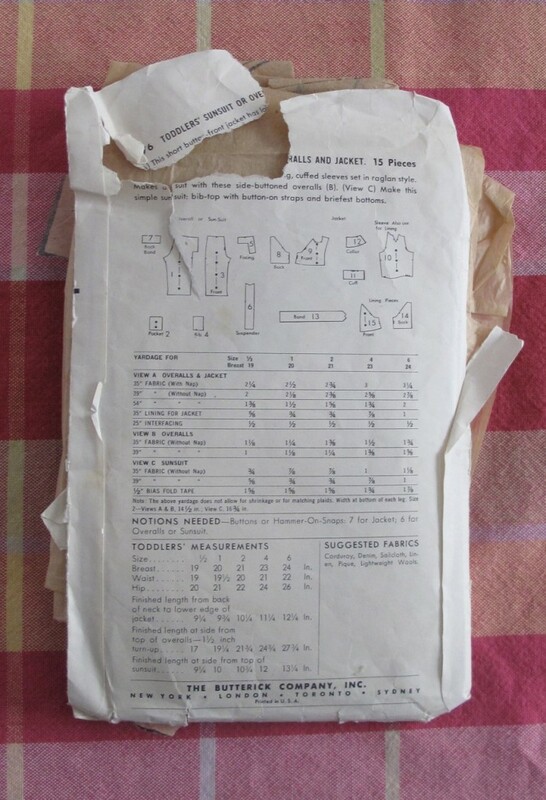 However, even though the copy of this pattern that my grandmother had was from the 1950s, you can find this pattern with different envelope designs. This probably means that it was published over an extended period of time. It would have to be published in the late 1940s or after, since the pattern is printed and not perforated in all the versions I’ve seen. And it seems to have been published through the 1960’s judging by logo design alone. 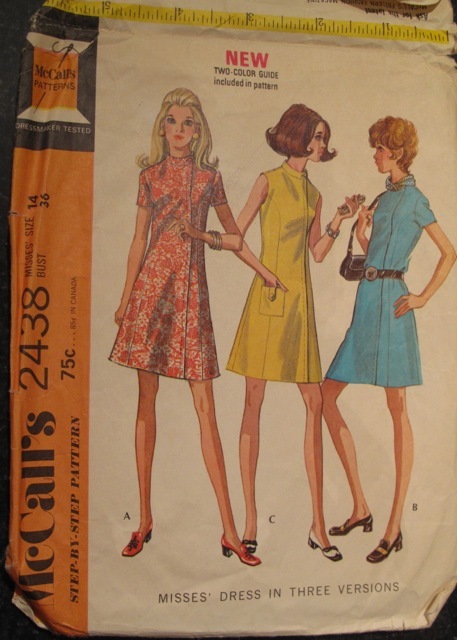 The price of the pattern varied between 35 and 48 cents, from what I can tell from a quick internet search. How is it different from modern patterns? The envelope from my grandmother’s pattern is barely holding together, but the pattern and instructions are in great shape. It looks like only the overalls or sunsuit were actually sewn up. The jacket was carefully cut out though. 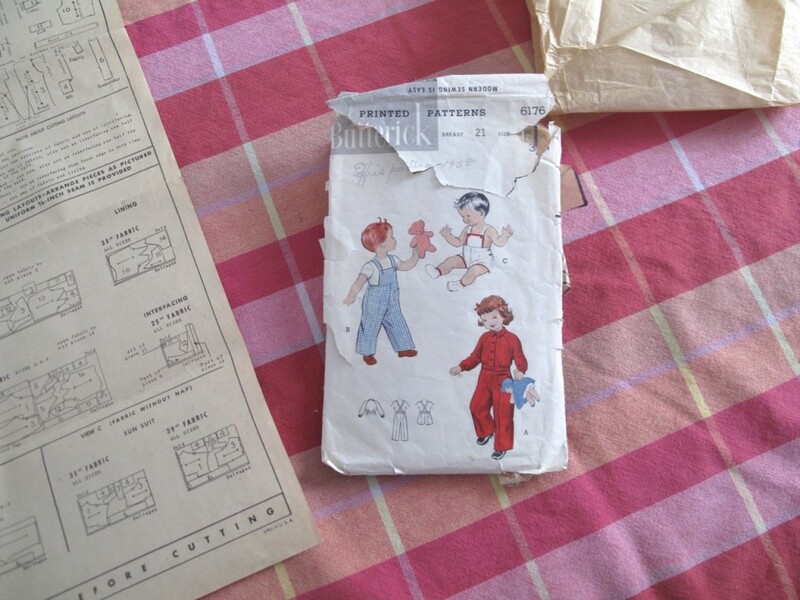 My great grandmother had eight grandchildren to sew for in the 1950s and 1960s, but I’m curious about who got the overalls. 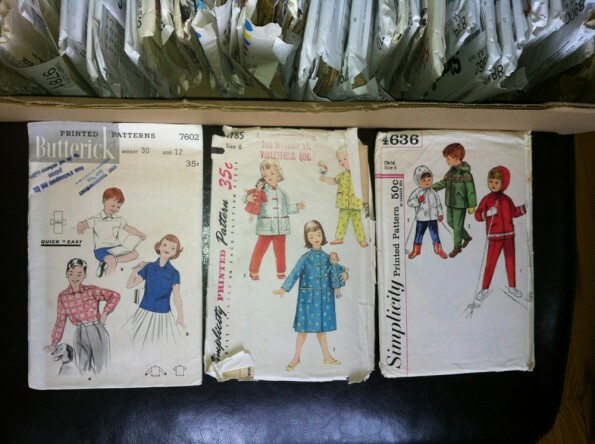 Butterick 6176: Check out all the different layouts. 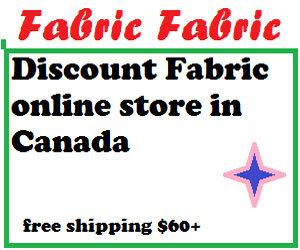 There are layouts for fabric with widths of 35″, 39″ and 54″. Fabric usually now comes in widths of 45″ or 60″. The first thing I noticed were the cutting layouts. 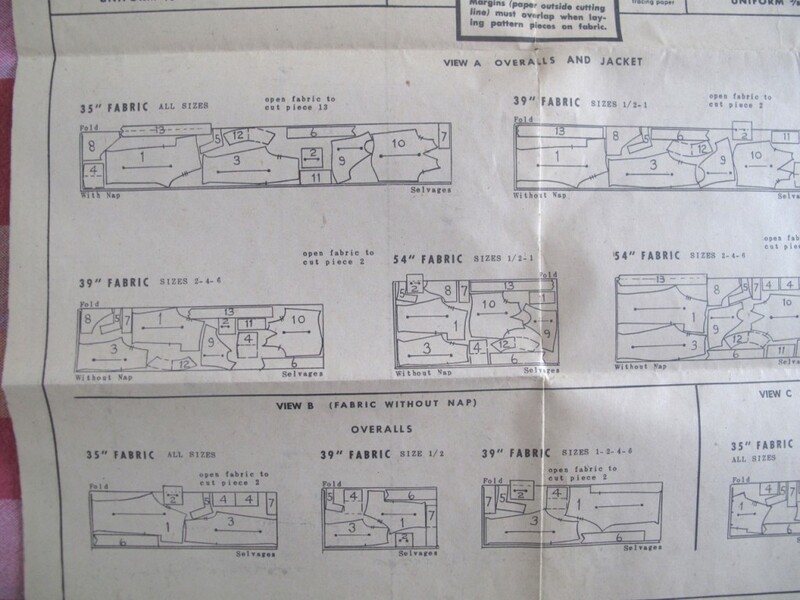 There are layouts for fabric with widths of 35″, 39″ and 54″. Fabric usually now comes in widths of 45″ or 60″. Butterick 6176: I like how they want me to use tailor’s tacks. 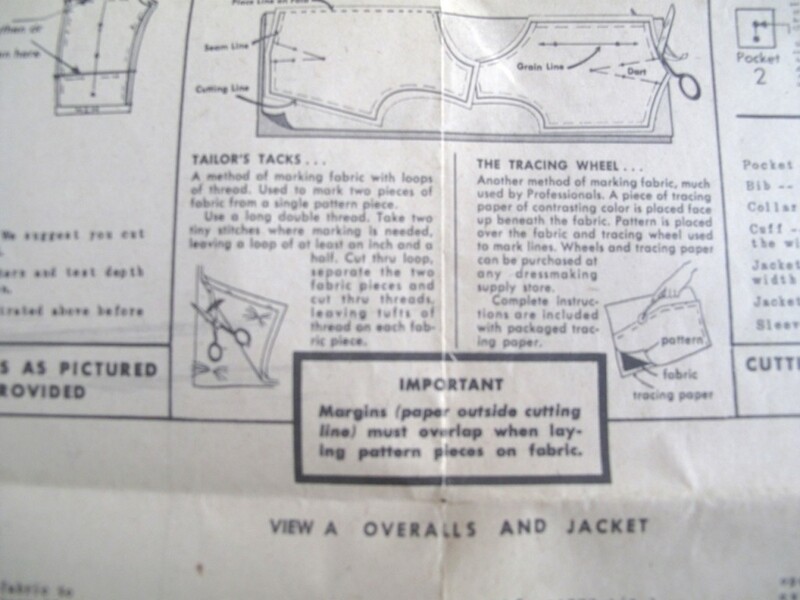 I also think it’s cute that the pattern calls for the use of tailor’s tacks or a tracing wheel, a tool “much used by Professionals”. I like the gratuitous capitalization. 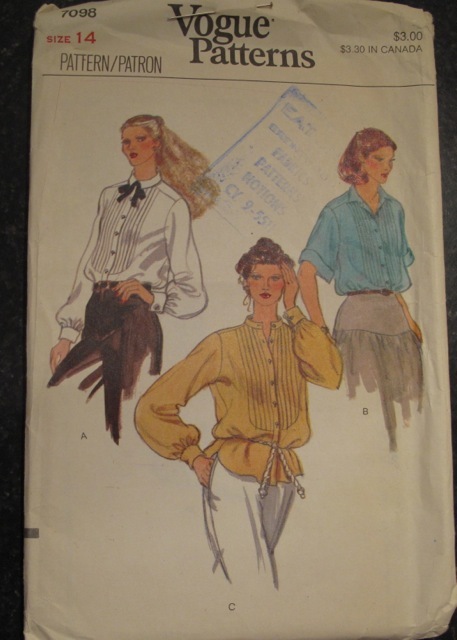 Butterick 6176: The pattern shows how to make corded, blanket-stitched buttonholes. Keep in mind, this is a jacket for a two-year-old. 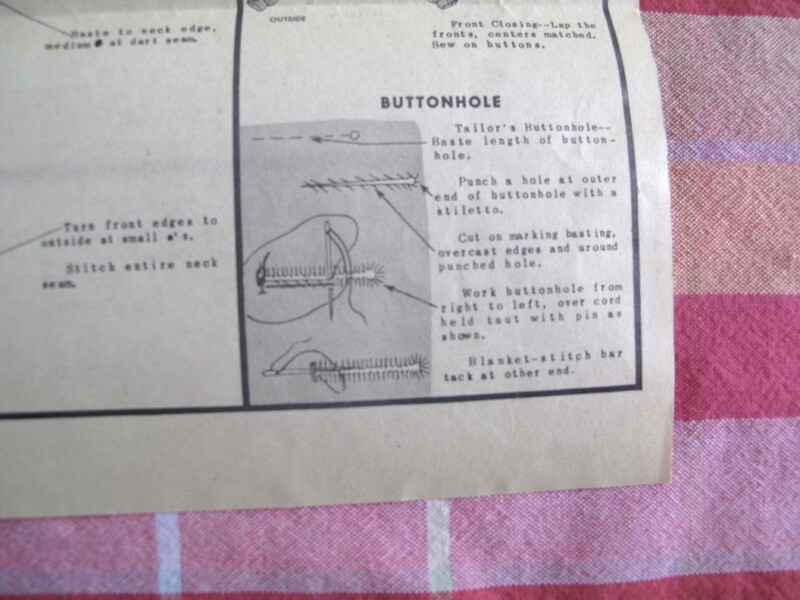 The pattern also tells you to make corded, blanket-stitched button holes by hand. Ooh la la! Keep in mind that this jacket is in size 2 and will last about a year before the lucky, but admittedly well-dressed recipient grows out of it. 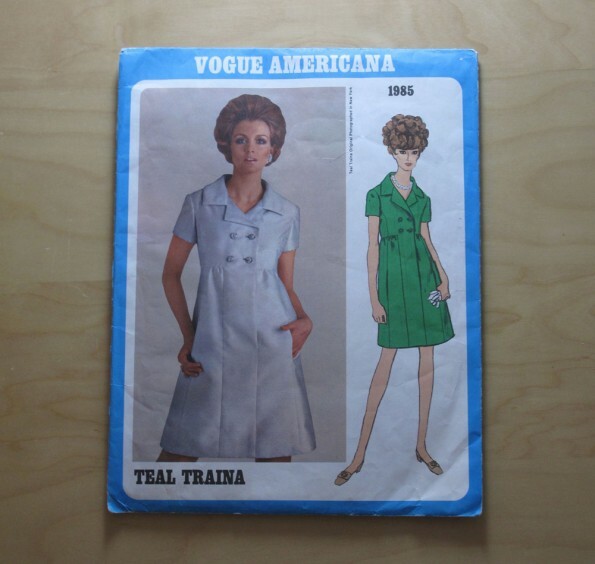 “Modern sewing is easy”, it says on the envelope. Un huh. 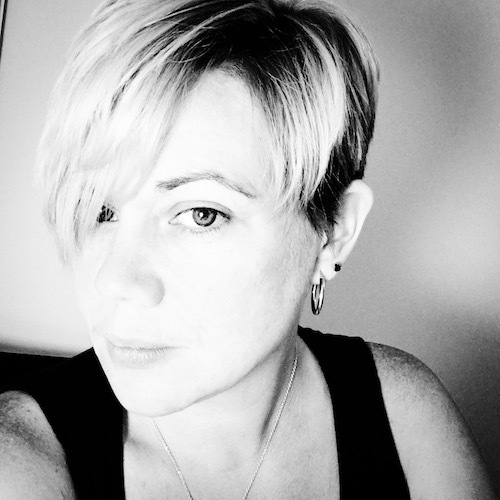 I recently read a blog post that asked if patterns used to be more complicated. In this case, yes. What else is different? If you look at the pattern illustration, you’ll see that this is a pattern for both boys and girls. If you look at Butterick’s current catalogue, you won’t find any patterns for boys at all, unless you count pyjamas or a layette. 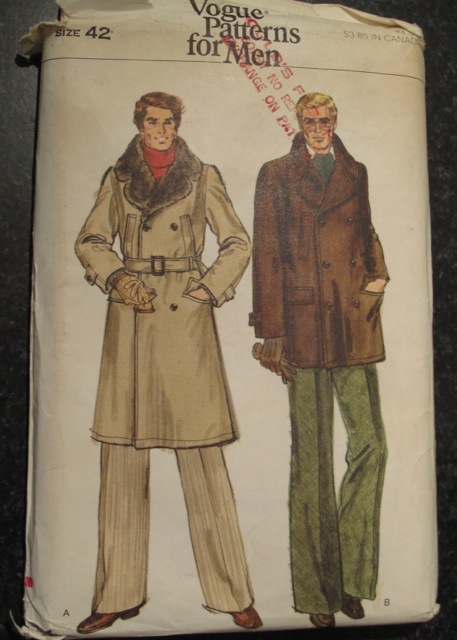 McCall’s has only a couple patterns for boys. And if you look at the girls’ patterns on either site, they are all super girly – ruffles, loads of pink, bows and ribbons. Ugghhh. 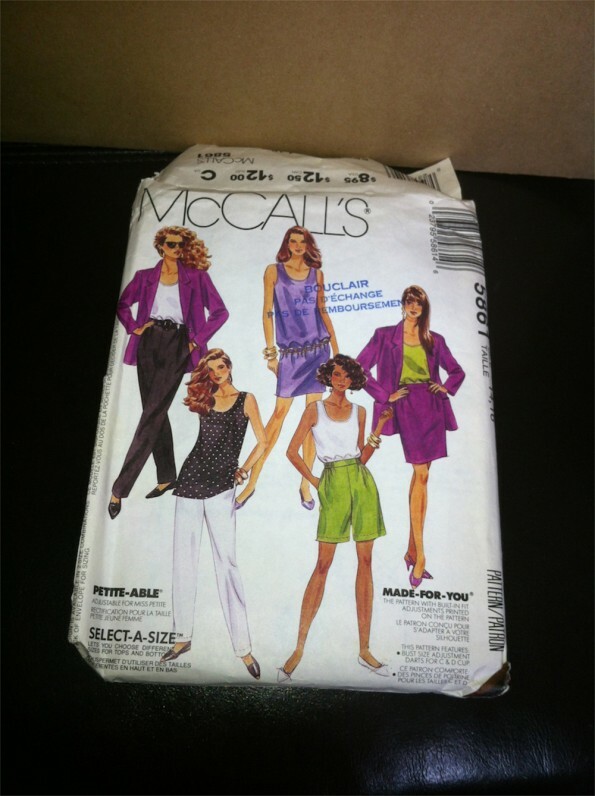 About the closest you would come to this pattern is McCall’s M6385 or Simplicity 2292. But look at the styling. It’s sort of like a big billboard ad “You Must Dress Your Girls in Pink.” And of course the boy outfits must be “boy-ed-up” with “boy”-themed appliqué work. Personally, I prefer the little red utility jacket. 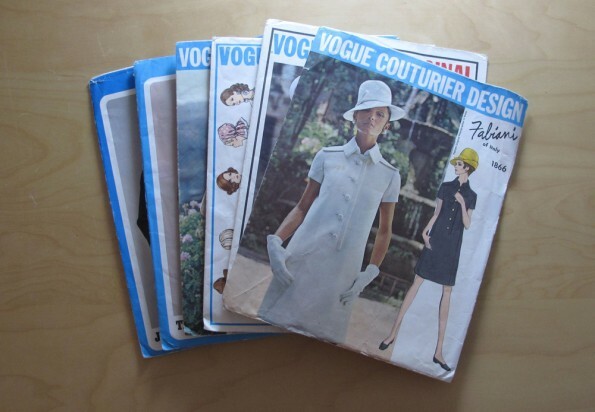 I think it’s pretty fun to open up old patterns, but I’m geeky that way. What about you? Have you ever tried a vintage children’s sewing pattern? I’m so excited. Look what is on the way to my house! 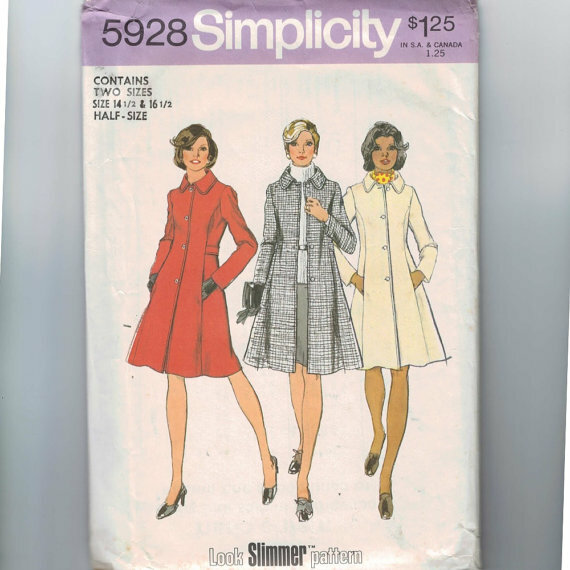 This is Simplicity 5928, the pattern for a princess coat from 1973. 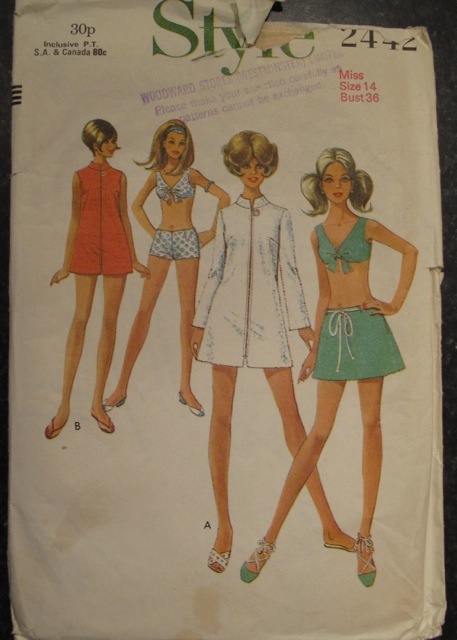 Simplicity 5928 A princess coat from 1973. 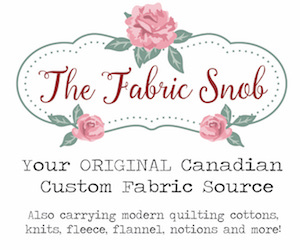 One of the biggest side effects of organizing my pattern collection is a voracious need for even more patterns. Sadly, I am not independently wealthy. I cannot buy all the patterns I want. But, I am getting new patterns. New old patterns. 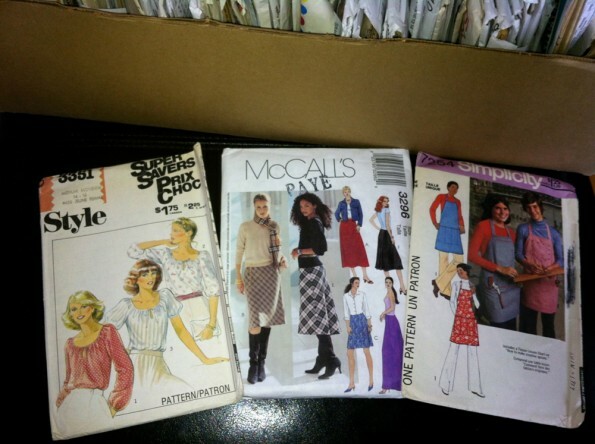 My mum is cleaning up the house and I asked for any old patterns that she wasn’t going to use again. We looked at them together over Skype, and this is one of the ones on the way.